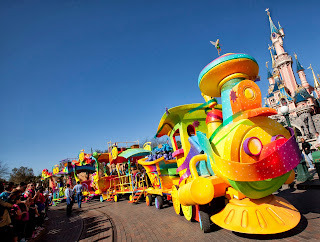 Over the years, that little Casey Junior float first seen during the Wonderful World of Disney parade has gone through a few changes, one thing that has never changed is the reaction it gets from guests which is usually overwhelming joy. The first time this train appeared as a daily character train was during the 15th Anniversary in 2007/8, characters were often picked at random adding in an air of unpredictability each day and providing reason to see the train each and every day. Since then, the train has been painted a few times. But the essence of providing characters remained the same and the character train concept has gone from strength to strength. 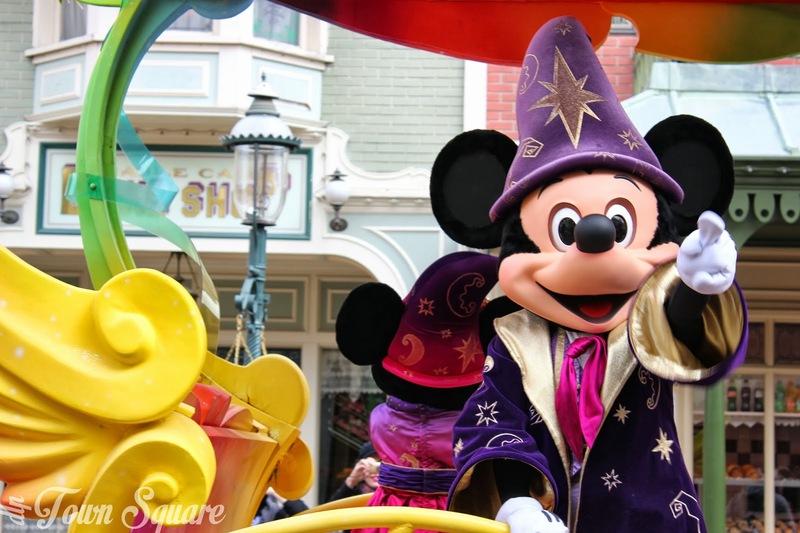 For the 20th anniversary, a simple question was asked: Do you believe in Magic? And therein lies one of the biggest strengths of this wonderful little parade of character meet and greets. As guests enter the park, or walk down Main Street (at the right time of day), they will hear the question and the fantastic song produced exclusively for Disneyland Paris and their 20th Anniversary. The song makes reference to ‘Disney Magic’ and the fun guests will experience at this special place. Equally for Disney fans, this song sneaks in a few incredibly obvious Disney references, and yet somehow creates a sort of charm of them that makes us smile and say ‘Ahh yes’. It’s a song that has defined the 20th anniversary, and I sincerely hope that it stays around. The train itself cannot be missed, the bright yellow sherbet dust coating stands out from everything, when gold and yellow was revealed to be a look of the 20th very few would have predicted the train looking like this. 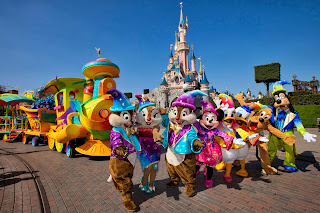 Some Disney fans didn’t like the new look, others loved it; what cannot be ignored is that it is distinctive and loved by the audience the parade targets. The real stars of the show however, are our Disney character friends dressed in their 20th Anniversary ‘Wizard’ costumes. Three times a day Mickey, Minnie, Donald, Daisy, Goofy, Pluto, Chip, Dale and Clarice welcome guests and meet them, and take photos across central plaza. 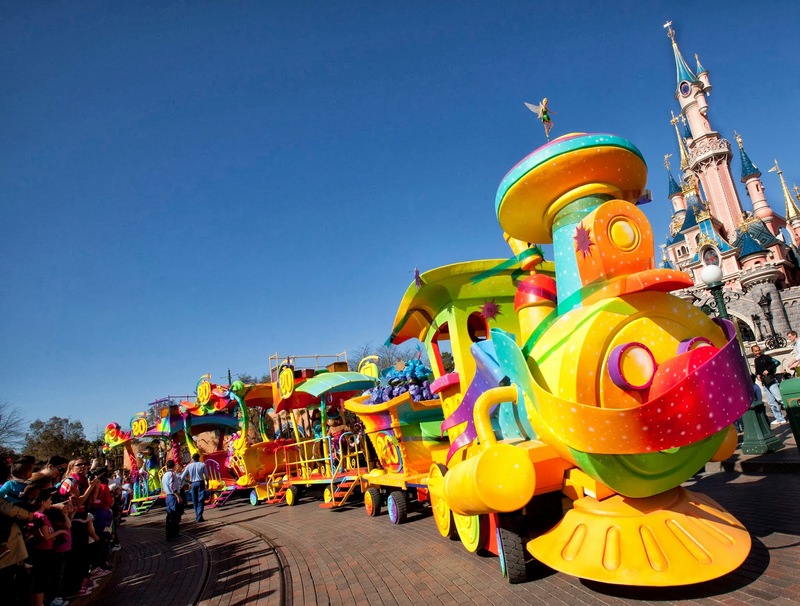 Disney’s 20th Anniversary Celebration Train has become one of the hit attractions of the anniversary with its bright colours, delightful music and fantastic characters. Disneyland Paris know these trains are incredibly popular, and as such it is likely to be back very soon. The question is, what kind of paint will Casey Junior be treated to when we next see him down Main Street? ‘Now that you’re here we hope you’ll be staying, where the fun never ends’. 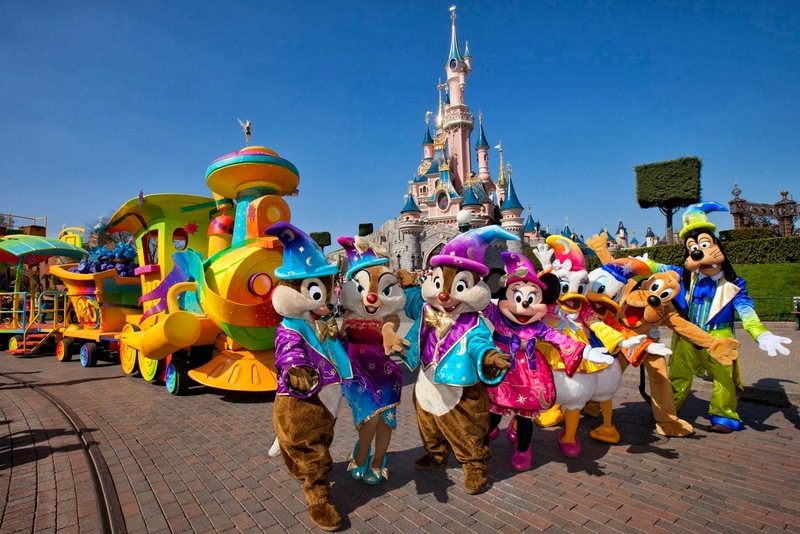 Our 20th Anniversary highlights week runs from 23rd September until the 30th September 2013 and celebrates the best moments of the anniversary year, from special events to new attractions. Check back everyday for a new article. 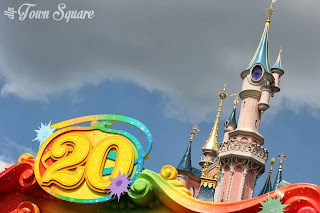 PreviousPrevious post:20th Highlights: Meet Mickey MouseNextNext post:20th Highlights: Disney Magic on Parade!